Teffont has over 30 years experience in the sale, repair and maintenance of office equipment, and provides a UK-wide call out service. Our offices enable us to readily access both the north and south of the UK, making us ideally located to provide a comprehensive sales, repair and maintenance service for printers, faxes, photocopiers, digital duplicators and print finishing, as well as supplying consumables and paper for office equipment. Whether your business needs replacement office equipment, repairs to existing machinery, or you are considering a maintenance contract, Teffont provides a professional, prompt and efficient service, wherever you are in the UK. Sometimes the biggest problem has the simplest solution. We are here to help when you need us – just ring our Freephone helpdesk for advice. 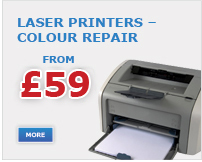 If you have a HP or Brother printer that needs repairing we now have two dedicated websites: HP Printer Repair and Brother Printer Repairs.